How We Test Cot Beds - Which? Good looks aren't enough. We test each cot bed for safety and durability, and include expert assessments and parent testing to find the best. A cot bed isn't a cheap purchase, but get it right and yours could last for years. That's where we can help. Our extensive independent testing combines lab-based strength, safety and durability tests with an expert assessment of how easy each cot bed is to assemble and use. Our tests also include convenience ratings from parents to reveal exactly how simple it'll be to adjust the cot and convert it into a bed. 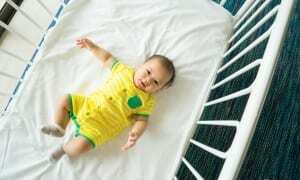 Is the cot bed safe and durable? Is it easy to turn the cot into a bed? 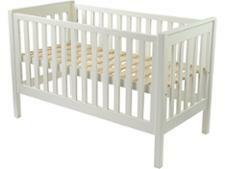 Find out which cot beds are the best buys by reading our cot bed reviews. Which? cot bed reviews are based on tough safety, durability and construction tests according to the relevant British Standards. Jumping toddler test To test the bed base, we pound it with a 10kg weight 1,000 times in the middle and at the end of the bed to test how strong the base slats are. If the slats survive, we also pound them 1,500 times with a 20kg weight to simulate being jumped on by a bigger child. Angry toddler test To simulate an angry toddler grabbing the top of the side-rail and shaking it violently, we shake the side rails of all cots up to 30 times per minute until each cot has been shaken 5,000 times. Safety tests We run through a huge list of checks to ensure that each cot is well made and safe to use. We make sure it is the correct dimensions, as well as checking for potentially dangerous features and testing the durability of the components. Checking for traps We stick probes that simulate children’s heads, fingers and limbs into all parts of the cot to check they won’t get trapped, helping to keep your baby safe and secure. Join Which? now to unlock our independent reviews. Already a member? Log in now. 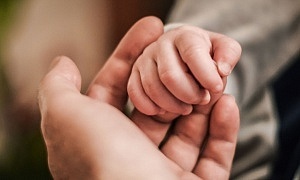 Getting the cot home is the easy part – putting it together is another matter. This is why we rate all the key aspects of assembling the cot, so you have less to worry about. Instructions We rate the quality of the instructions and how easy they are to follow in order to assemble each cot safely, checking that they accurately describe what you need to do. Assembly Our cot bed reviews also tell you if we found an easier way to assemble the bed than the instructions describe. Safety issues Incorrect assembly was one of the root causes of the problems leading to the recall of drop-side cot beds in the USA. So in our tests, three lab experts put each cot together. They rate how easy it is to do and note any possibilities for assembling the cot incorrectly, which could lead to safety issues. Bolts and barrel nuts We found that the hardest part of assembling a cot bed is lining up the barrel nuts and bolts so you can screw the bed together. We also found that the bolts were generally poorer quality than those you could buy in a DIY store. Construction and workmanship We check for poorly constructed parts and assess how well the cot is constructed, before and after testing, as a cot and a bed – wobbly joints, bent bolts and flaky paint all come under our beady eyes. There's no way of telling how good a cot bed will be just by admiring the stylish looks. Our Best Buys are all easy to assemble and pass our safety and durability tests. Best buy cot beds – find out which cot beds passed our tests with flying colours. Is the cot bed easy to use? Access – how easy it is to place a child into the cot and take them out with the base in various positions. Drop side – how easy it is to lower and raise the drop side of the cot if it has one. Adjusting the base position – how easy it is to change the height of the base and how much of the cot has to be disassembled to do it. One of the key reasons for buying a cot bed is to turn it into a bed when your baby turns into a toddler. Our tests find out how easy this is to do. Our parent testers gets hands on with the cots and have a go at converting them into a children's bed. We get them to rate how easy it is to remove the sides, reposition the base and turn the cot into a bed. We'll tell you how many people you need to do this, and how sturdy the bed is, so you can have the best idea of what's to come. We also check how loose the bolts and fittings are when swapping to a bed, and whether the fixings become too loose to be effective. Features From teething rails to drop sides, are these features useful, and do they really do their job? We analyse the data from our safety and durability tests, parent trials and expert assessments to give each cot bed a total test score. This means you can easily see the best and worst, and compare different models. To become a Which? 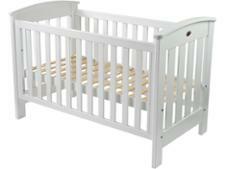 Best Buy, a cot bed must score at least 83% overall in our tests. 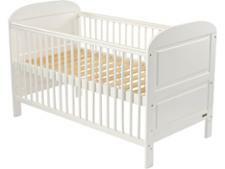 Find a cot bed that will last – head straight to our Best Buy cot beds.